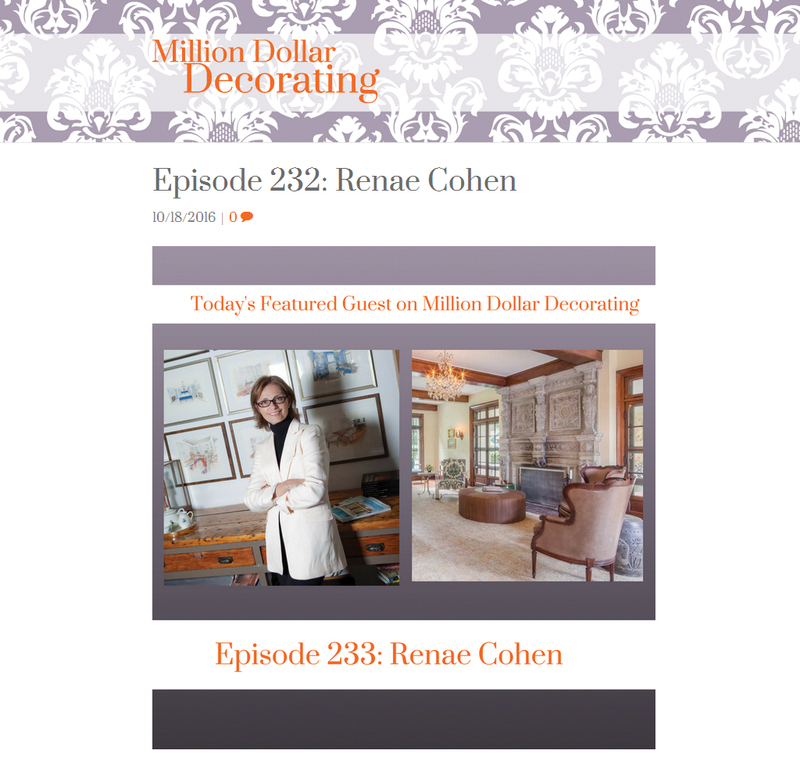 New York-based designer Renae Cohen believes that the best decor reflects the evolution of life; each stage of life is a new chapter to be celebrated. Known for creating design schemes using classic silhouettes and contemporary finishes, Renae’s creative eye, practical approach to planning and impeccable attention to detail culminate in inviting and serene spaces. Renae grew up on a family farm in North Dakota where, from an early age, she was fascinated by landscape, color and the beauty of nature. She attended the University of Minnesota and North Dakota State University, graduating with a major in textiles, and set her sights on NY to work in the apparel industry. A few years later she took time off to raise a family and became an avid collector of antiques. Honing her knowledge and passion, Renae opened her gallery in 1999, specializing in French and Continental furniture and fine art. In 2006, at the urging of long-standing enthusiasts of her antiques gallery, Renae expanded her role by offering complete design services. Since its founding, Renae Cohen Interiors has completed an extensive number of varied projects throughout the country, from the most elegant urban residences to casual weekend retreats. Add Renae’s book recommendation, Learning To See by Vicente Wolf, to your Design Library with one click here.